Featured Systems - Barry Electronics - Since 1979! 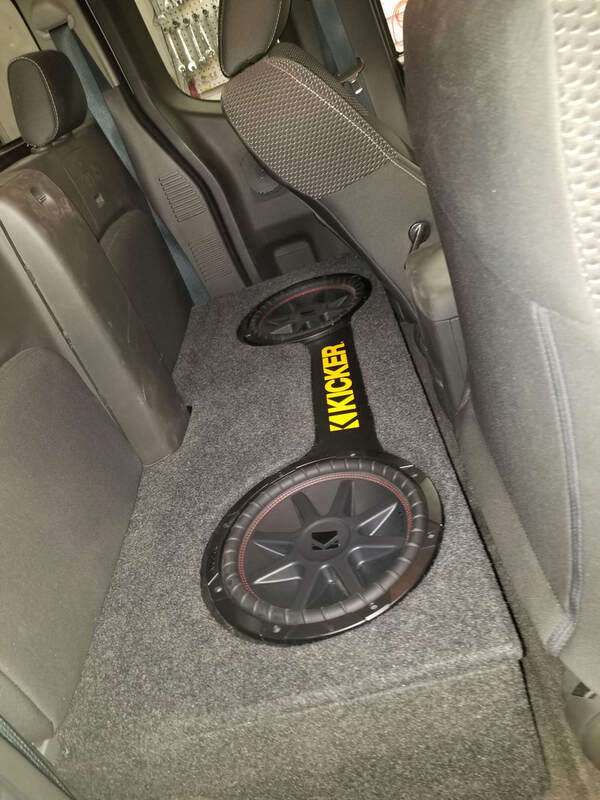 This is where we showcase vehicle audio and video systems submitted by users. Think your system has what it takes to be featured on barryelectronics.net? Click the button to submit your entry. If we put a killer system in your car or truck, and you'd like to see a highlight video made of it, call us! 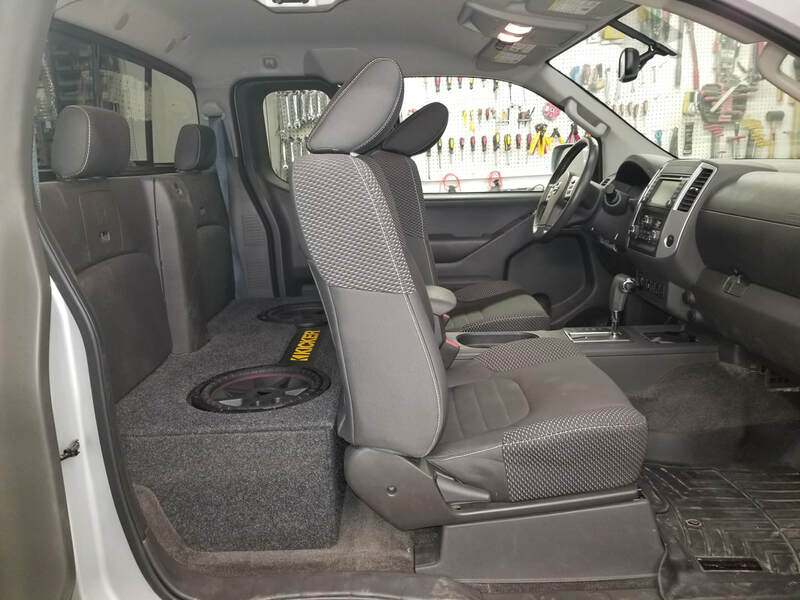 James of Lima has us build this seat replacement box in the back of his extended cab 2018 Nissan Frontier. 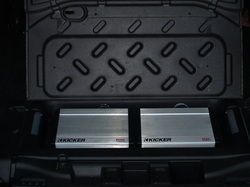 We went with a pair of 12" Kicker CVR on a Kicker KX800.1 Amplifier. 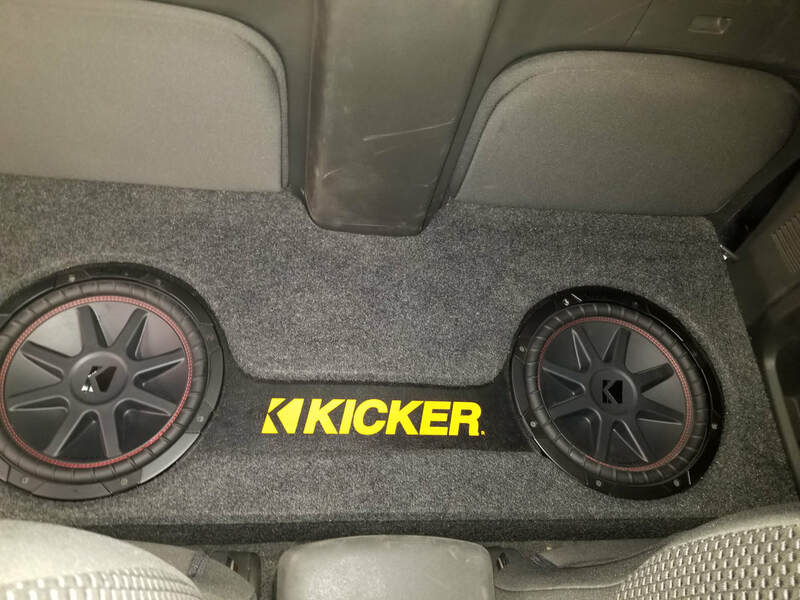 Custom black leather inlay with the kicker logo gives this box a unique and stylish look. 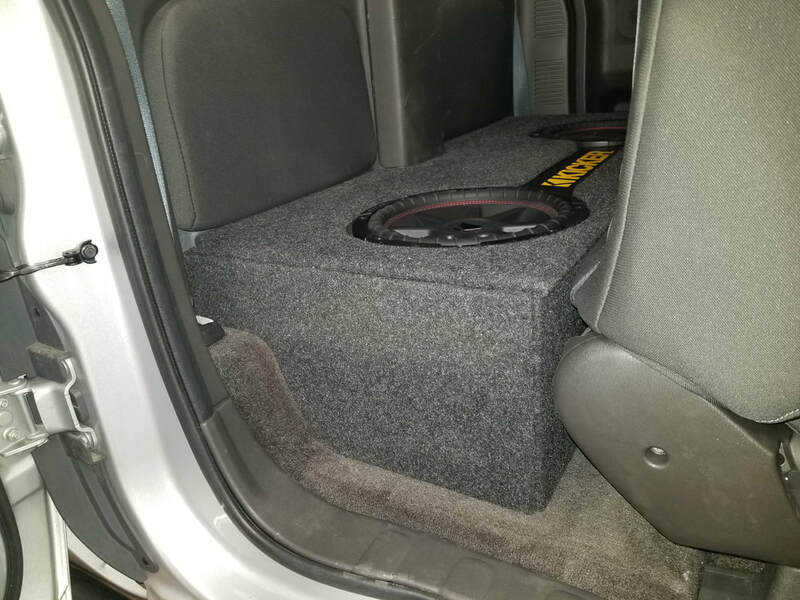 Mark of Lima had his 2014 Jeep customized here at the shop to incorporate 2 - 12" Subwoofers and 2 Amplifiers to power his sound system. 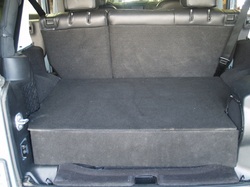 Trunk Space was important for him to keep, so we built a hidden housing to suit his needs. These KX Series Amps are tucked safely away in a secure cargo area. 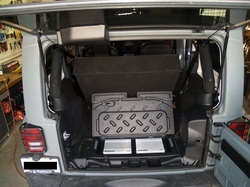 You can see here with the back open that the amps are tucked into the bottom of the cargo area, with a box built in above it. This box houses the subwoofers. 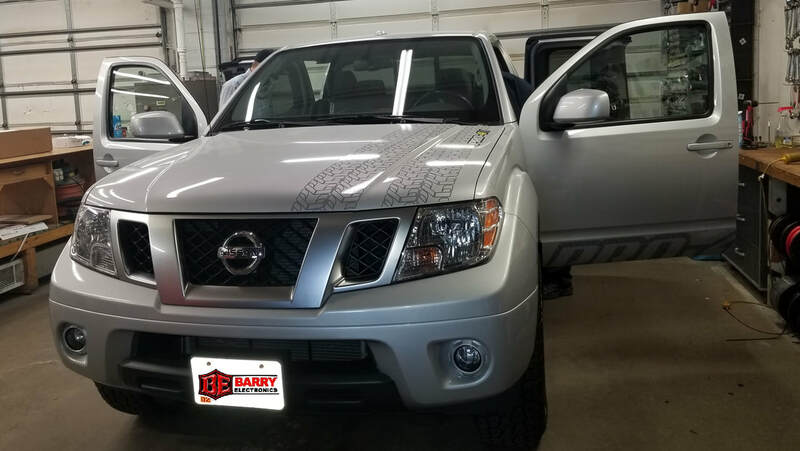 When completed, the sealed box and amp housing can't be seen, and the cargo area is still usable and able to haul items with very little area missing! Ryan from Ottawa submitted his kicking system and we just had to showcase it here. Great looking (and sounding) setup!